Jan Peter van der Ree joined Park Hyatt Zurich as General Manager and Area Vice President in 2014. Mr van der Ree is of Dutch nationality and joined Hyatt in 1988. During his international career, Mr van der Ree has successfully managed many different Hyatt properties in Asia and Europe. 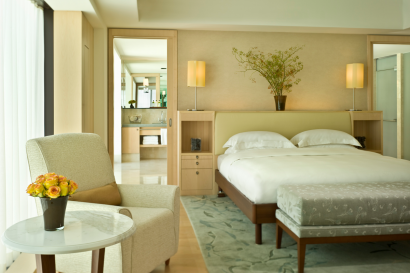 Park Hyatt is Hyatt’s luxury brand. 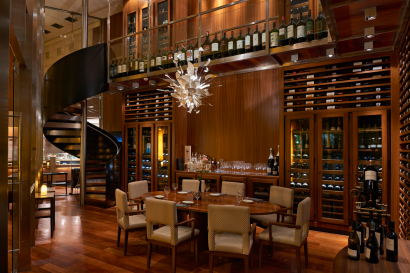 Park Hyatt hotels are luxurious boutique hotels that are distinguished by their prime locations, exceptional interior designs and works of art. Park Hyatt Zurich opened its doors in 2004 and was the first purpose-built luxury hotel in Zurich. 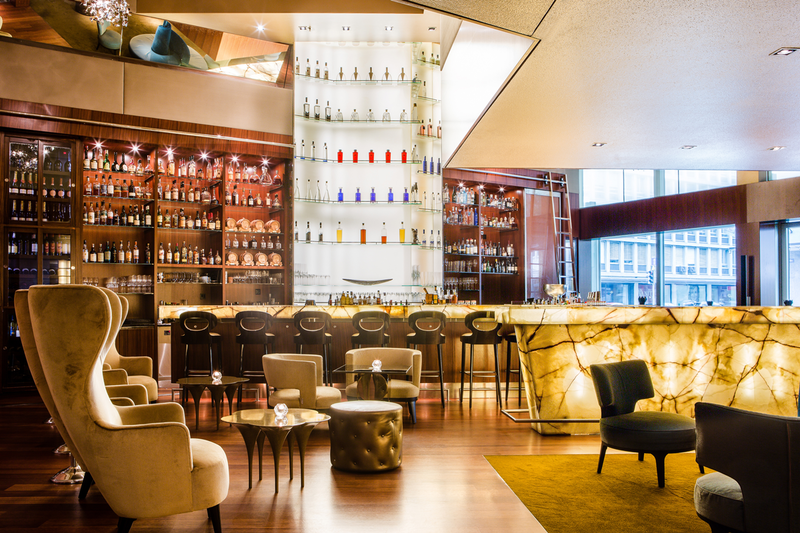 Positioned in the heart of the city, Park Hyatt Zurich is a sleek and sophisticated boutique hotel combining cool, cutting edge design with a warm and welcoming ambiance. The location of the hotel is unparalleled – just moments from the prestigious institutions of Paradeplatz Square, the luxurious boutiques of Bahnhofstrasse and the scenic beauty of Lake Zurich. 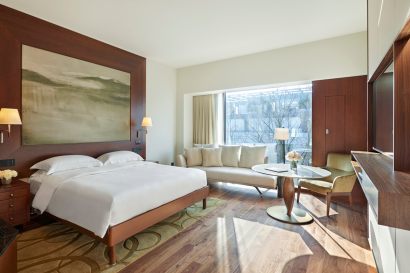 The 142 generously sized guestrooms and suites offer sophisticated comfort. 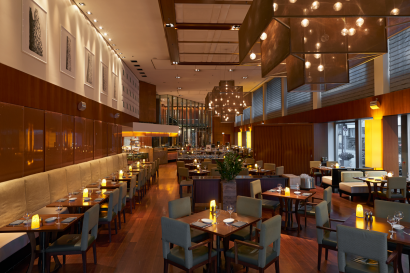 The restaurant “parkhuus” with its open show kitchen guarantees a delicious culinary experience, the stylish ONYX bar fascinates with its open and original design, and The Lounge, with its comfortable chairs and open fireplace, forms the heart of the hotel. The facilities and services of this urban City Hotel are complemented by the Club Olympus Spa. Park Hyatt Zurich undergoes a constant soft re-furnishing process in cooperation with top international designers such as Janice Clausen and Hirsch Bedner Associates. 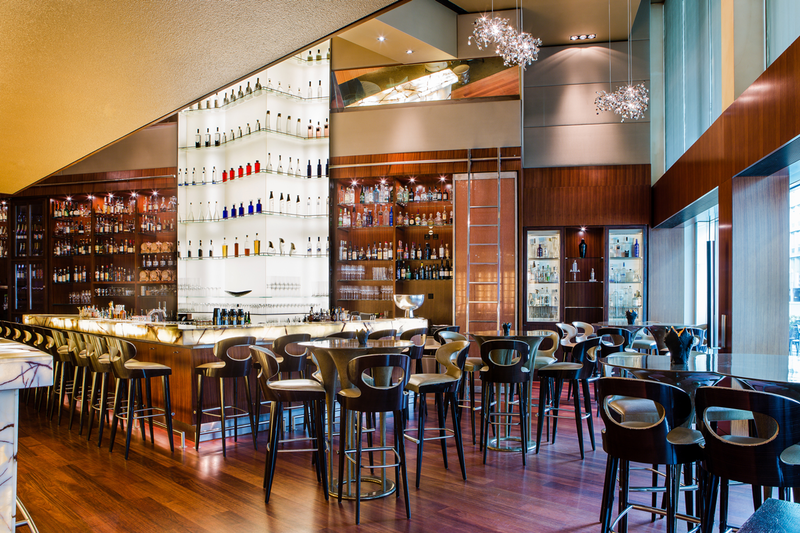 • In 2013, Park Hyatt Zurich completed refurbishment of the hotel’s lobby lounge and the in-house ONYX bar. Zurich ranks among the cities with the highest standard of living in the world. 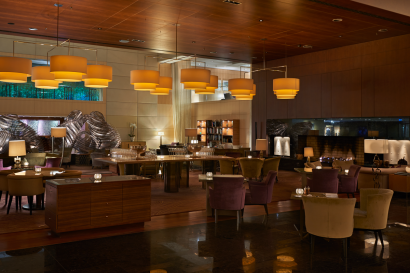 Park Hyatt Zurich is centrally located within the vicinity of the commercial and financial districts, the famous designer boutiques on Bahnhofstrasse and is also only few steps away from Lake Zurich. • A few minutes walk from the famous Bahnhofstrasse central shopping street. • Within easy reach of all major attractions such as the Zurich Opera house, Zurich Congress Hall, international museums and the old city of Zurich. By supporting you in spending some quality time with your best friend, we will place a nice dog bed, water and a food bowl as well as a little welcome amenity in your room. At Park Hyatt Zurich, we understand the importance of family time. In order to best cater for your childrens needs when travelling, Park Hyatt Zurich offers a Very Important Baby Service (V.I.B. ), including specially chosen amenities. The 138 generously sized guestrooms and suites offer sophisticated comfort. All rooms offer complimentary high-speed Internet access, 24-hour room service, daily fruit basket, fresh flowers, mineral water, Nespresso Machines, Bang & Oulufson televisions and evening turndown service. Personalised service begins with in-room check-in in the Suites. 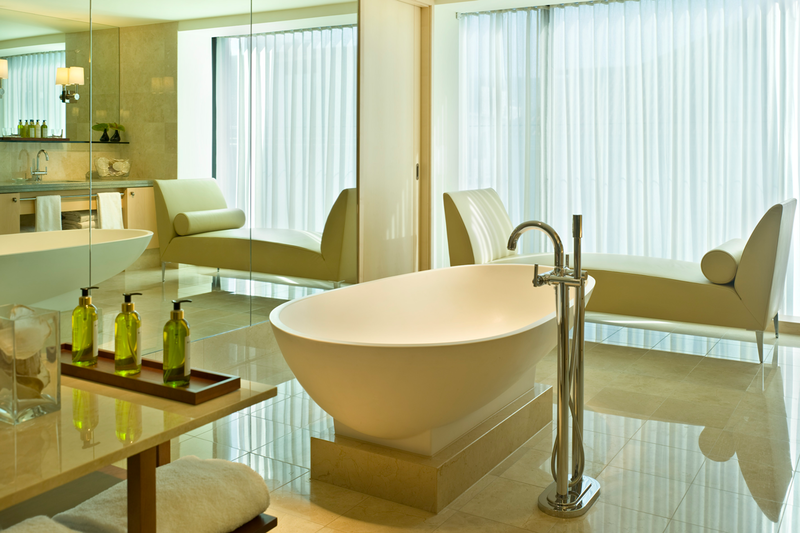 Floor-to-ceiling windows offer spectacular Zurich views, complementing elegant warm-toned interiors, marble bath with Grohe rain shower and separate tub and work area. 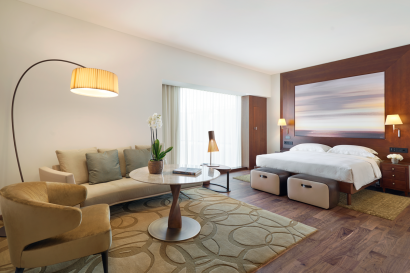 Spacious 54-sq.-metre room features lush warm-toned decor sitting area with leather-upholstered furnishings and spacious work desk area. 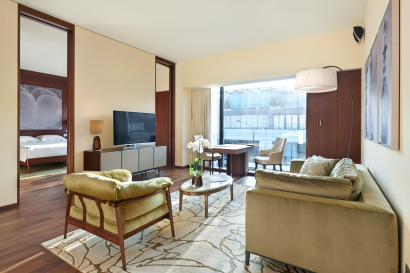 Luxurious 72-sq.-metre corner suite offers panoramic Zurich views and elegant interiors featuring sitting area, marble bath with free standing tub and Grohe rain shower, and a separate bedroom. Rich copper and red tones combine with cherry wood floors and stitched alligator accents in a 108-sq.-metre suite, highlighting a parlor, dining table, study, spa -area. 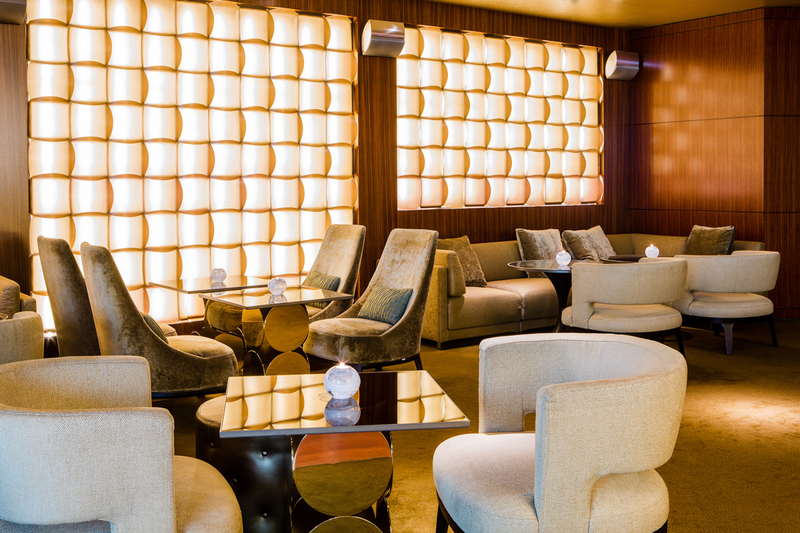 Invitingly located, with comfortable lounge chairs and sofas, “The Lounge” forms with its open fireplace the heart of the hotel. “The Lounge” is the main breakfast venue of the hotel and provides an all day à la carte menu, featuring Swiss delicacies, along with a choice of International dishes and the signature healthy beauty-, brain- and moodfood menu. The parkhuus Restaurant with its open show kitchen places emphasis on distinctive flavours and exceptional quality, so that a delicious culinary experience is guaranteed. Private dining for up to 10 people and wine tastings are available in the wine libray. An oasis of relaxation for mind and steam rooms and sauna. Private treatment rooms for a variety of beauty and holistic treatments such various facial and body treatments and different massages. The men’s and ladies’ areas both feature a sauna and a steam bath, as well as a rest room with magazines and relaxing music. Immediately adjacent are the changing rooms, with lockers and showers. 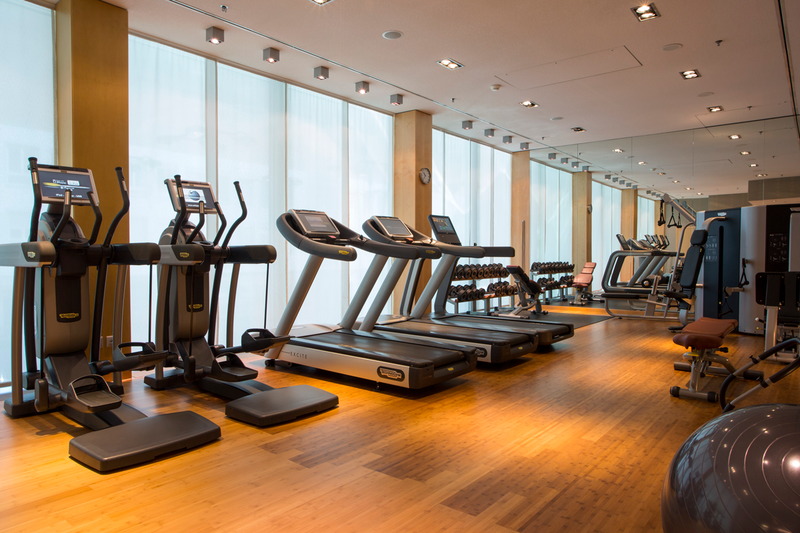 Park Hyatt Zurich offers its guests an exclusive fitness centre with the latest cardio-vascular equipment and technology, open 24 hours a day, seven days a week. We invite you to join our series of Masters of Food & Wine events, interactive culinary and beverage experiences that offer area residents and visiting gourmands a chance to connect with and acquire skills from our award-winning chefs and sommeliers, professional chocolatiers, craft brew masters, local farmers, tea producers and more. Park Hyatt Zurich has introduced YogaAway for those who want to start off their mornings invigorated, or for those who need to recuperate at the end of a long day. Whether the drinks are shaken or stirred, these cocktail classes will give you the tips and teach you the tricks of the experts. Learn how to prepare exciting cocktails from the Bar Chef of the Year, Wolfgang Bogner, and surprise your guests at home with the secrets you have learned from a professional. • Zürich Geht Aus! Magazine 2016: Restaurant parkhuus in 3rd place in the category “Business on Bahnhofstrasse”. We are very proud to be once again rated by the Sonntagszeitung as on of the the top three city hotels of Switzerland. The award, which honors exceptional hospitality, is distributed worldwide to restaurant and hotels who receive consistently outstanding traveler reviews on TripAdvisor. • For the second year in a row, the jury of the Connoisseur Circle and Hubertus von Hohenlohe’s ‘500 Very Special Hotels’ have rewarded Park Hyatt Zurich with first place.